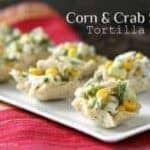 Corn and Crab Salad Tortilla Cups, an easy snack or appetizer recipe great for the Super Bowl, tailgating, or any party! Can even make the salad ahead! 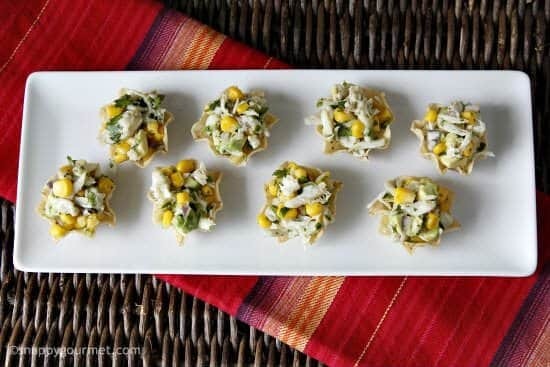 These Corn and Crab Salad Tortilla Cups can be made in no time! 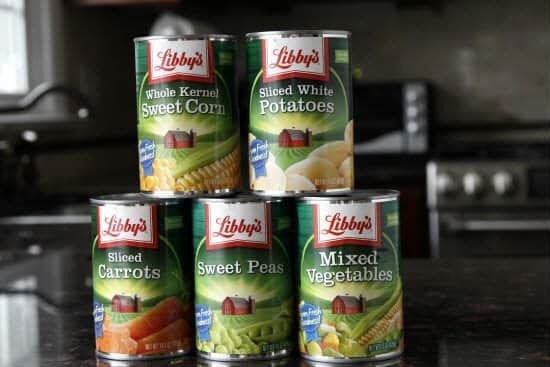 I love using Libby’s Fruits & Vegetables for quick and easy recipes. 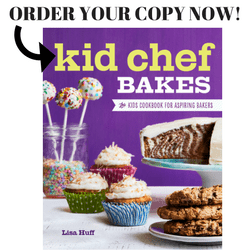 For this recipe I decided the Whole Kernel Sweet Corn would be perfect! I love that the corn is ready to go! 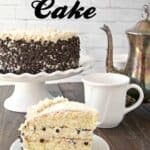 You don’t have to wait for it to defrost and can use it warm or cold. Just drain, and go. 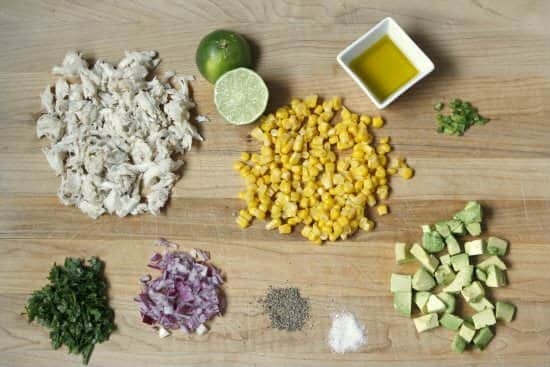 Only 9 other ingredients in this recipe besides the corn, including crab (or you could substitute precooked shrimp or chicken), avocado, cilantro, onion, jalapeno and a quick vinaigrette with olive oil, lime juice, salt, and pepper. 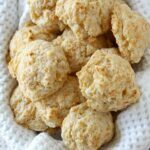 The crab is the most expensive ingredient, but you could also substitute precooked shrimp or chicken. For a vegetarian option you can substitute black beans. The price per serving can vary a lot depending on what type of crab or protein you use, but it cost me about $0.28/cup. 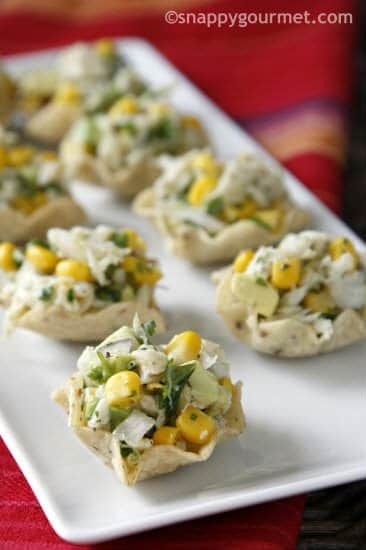 One of the best things about these Corn and Crab Salad Tortilla Cups is that you can make the salad ahead of time. You can also serve it warm or cold. If you’d like to serve it warm, you can microwave the salad in 30 second intervals until warm. Love that! 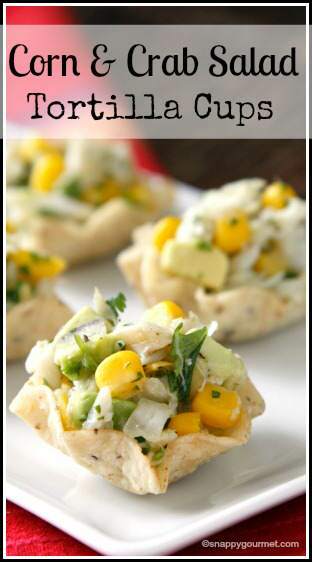 Corn and Crab Salad Tortilla Cups, an easy appetizer with only 10 ingredients! 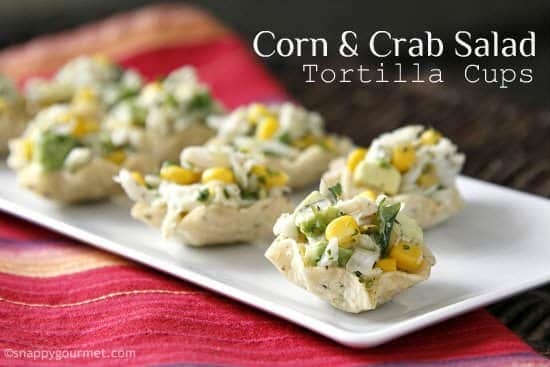 Place corn, crab, avocado, red onion, cilantro, and jalapeno in a medium mixing bowl and gently stir to combine. Couldn’t ya just use it as a dip, instead of filling the tortilla cups? Hi Lisa. 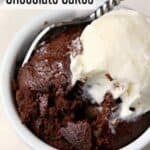 Thanks for another great recipes. I love your emails. I am older and not so able in the kitchen as I used to be so I will make some changes. Hope you don’t mind. Instead of fresh chilis I will use canned diced green chilis. And diced radishes instead of the onion. Not sure what to sub for the avocado. Don’t like it. But I think it will come out okay with these changes. Thank you so much the Corn and Crab Salad sounds yummy. 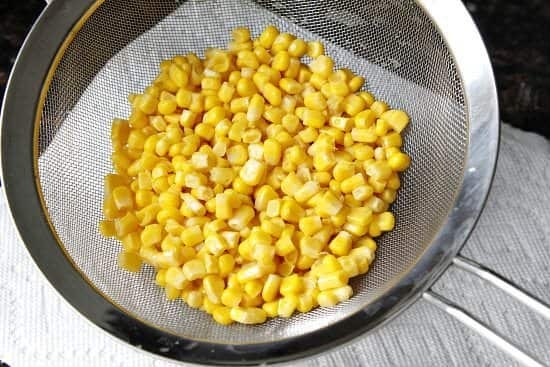 I like scalloped corn using cream of corn. Thes would be great for a Baby Shower or other fancy party. 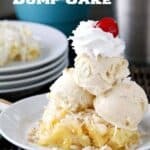 Great looking recipe, sounds delicious. 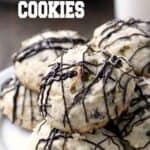 I am always looking for new appetizer recipes. 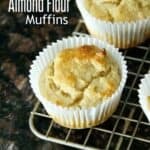 really tasty recipe & easy to make recipe. 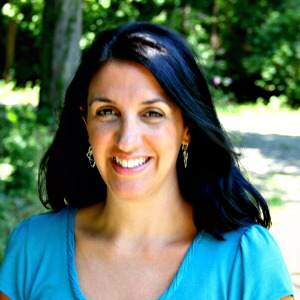 I would like to try Libby’s Ricotta Stuffed Crepes with Diced Peaches recipe.